It’s not often an allergic foodie gets to eat a treat. Not often at all. I am never too full for dessert. So imagine my happiness when these allergy-friendly cookies arrived on my doorstep! They arrived two weeks before my birthday, so I decided to save them for a birthday treat. This was hard. Really, really hard. But here’s the thing. Not only do I have celiac disease and allergies to dairy, soy, and corn, I also cannot eat vanilla, nutmeg and guar gum. Oh and yeast seems to be a problem lately. (Actually, yeast has been a problem for a long time, but I have a tiny bit of a problem with denial.) All these allergens are common in gluten-free and “allergy-friendly” processed baked goods. So I thought, how can a cookie stay together and taste good with just five ingredients? I ate one. Okay I ate them all–it was my birthday. OMG, these are so gooooood. I’m a Vermont girl, so I love the maple syrup flavor. The Himalayan sea salt gives the cookies a grown-up taste. Of course, I don’t know any kids who wouldn’t like them, too. Lately, my husband has been into eating chocolate bars with almonds and sea salt while I drool, so I am really thrilled to now have something I can moan over and not give him a bite (we have issues; see my last post). 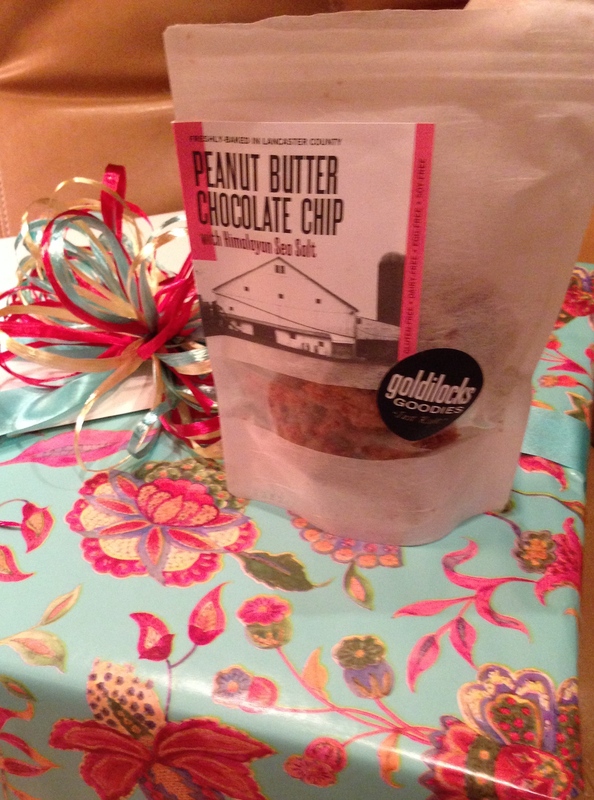 Besides having awesome cookies and other baked goods like Whoopie Pies, Goldilocks Goodies is a really cool small company. 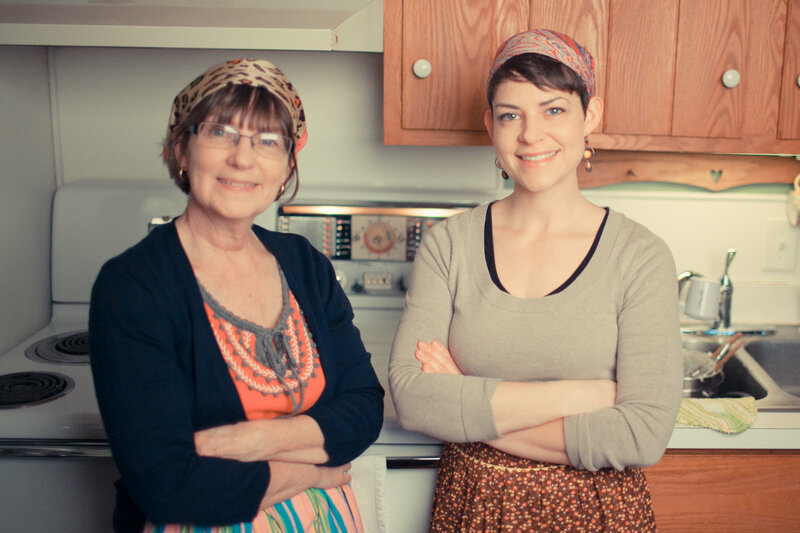 Emily Robins, the chief baker and founder, comes from a long line of bakers including her grandmother who singlehandedly rolled out nine pie crusts during harvest season to bake pies for the farm hands. Wow. Emily went gluten free six years ago to help with the symptoms associated with Lyme Disease (celiac disease also runs in the family). While going gluten free helped her feel better, she couldn’t find a cookie that wasn’t “grainy, too processed, and full of artificial ingredients.” Like Goldilocks, Emily searched and searched for a cookie that was “just right.” Emily and I have a lot in common. Discouraged, Emily began baking her own gluten-free cookies. She says, “My passion for baking was started because of my love of eating.” Did I mention Emily and I have a lot in common? As an allergic foodie, I believe it’s important for those of us with food restrictions to support the small companies like this one who are dedicated to making food we can eat safely. Without them, there’d be no cookies for an allergic foodie, and that would be sad. Really, really sad. You can read all about Goldilocks Goodies here. The business is in Lancaster County, PA but baked goods–did I mention they have WHOOPIE PIES?–can also be found in Virginia, Maryland and the DC area. Some baked goods can be ordered online, too. An Allergic Foodie Finds a “Just Right” Cookie originally appeared at Adventures of an Allergic Foodie. I do have peanut allergies but will check them out. Thank you or sharing.